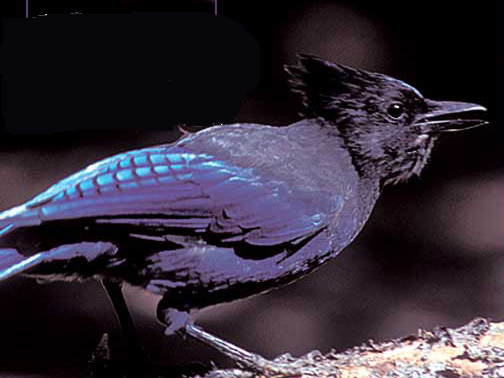 Steller's Jays are common and unseemingly ubiquitous year-round residents found throughout the Upper Klamath Basin watershed. Usually found where conifers are the prevalent tree species. Dave Menke, Umpqua National Forest, Diamond Lake Recreation Area, Douglas Co., Or.